Steven (Chicagoland, United States) on 13 February 2014 in Abstract & Conceptual and Portfolio. Photo captured January 28, 2014. I like, I really like this shot. Nice one. The way the shimmering light and color fills the frame is very pleasing. It looks metallic. Fascinating shot, Steven. Did you use perspective correction to square this so perfectly? Superb framing and textures ! Superbe avec les reflets, splendide composition. A very sharp picture of this block with its refracted colors. It makes an interesting graphic image. SUperb - love the shapes and patterns but most of all the way it shines! Wonderful visual! Very well seen and framed. This makes a fabulous image! I love it! It just sparkles! A superb abstract wonderfully graphic ... the shine and the reflected colors are fabulous !!! Looks like polished silver. Photographed with perfect perspective and framing. Super shot. Love the feel of this. 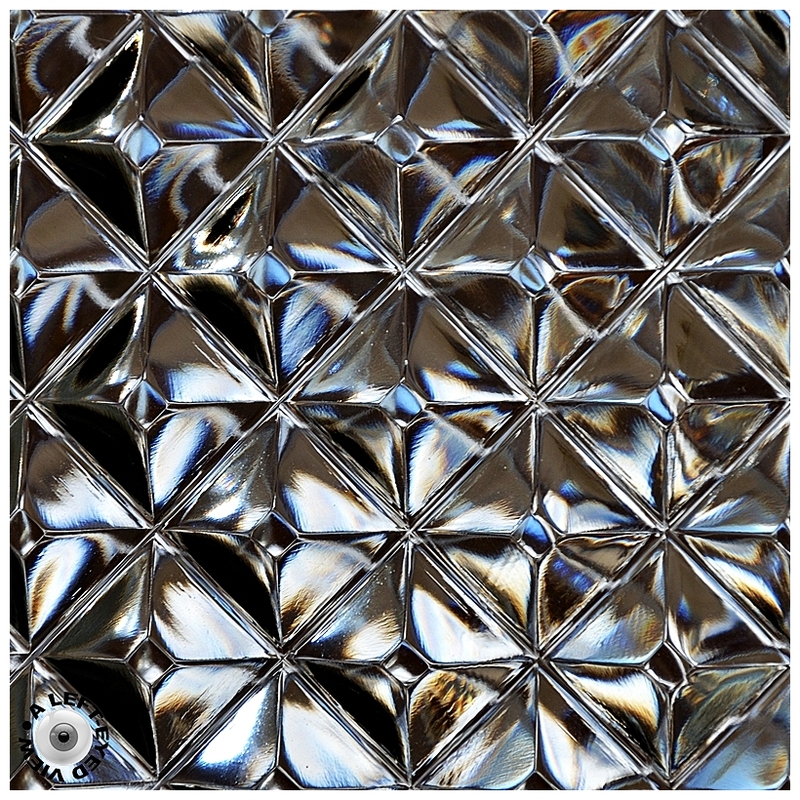 Beautiful graphics and rendering of the shiny texture.